I would have been able to explain that my daughter has several food allergies and it’s difficult to find snack foods that she can eat. At home, we don’t eat many processed snack type foods. 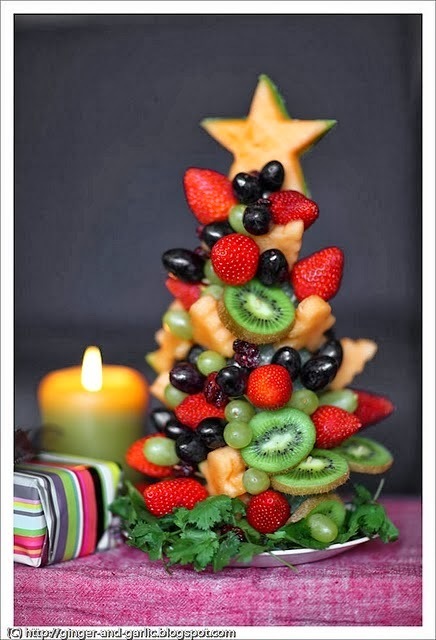 I would tell her that I would try to send in fruit each week, but that I couldn’t promise I could do that every week. Instead of saying all that though, I just laughed and said OK. I could have gotten upset, but this is my fourth child, and this is not the first time I’ve come up against something like this. 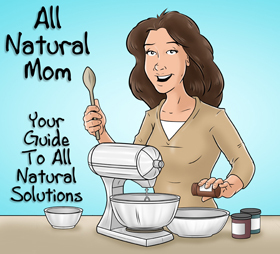 When my son was getting ready to start preschool, I discussed with his teacher his food allergies and told her how he was susceptible to seizures if he ate gluten or dairy. I explained that I would send him his own snack every day and that I had already talked to him about it. Then I mentioned how excited he was because I bought him a new SpiderMan lunchbox to bring his snack in every day. 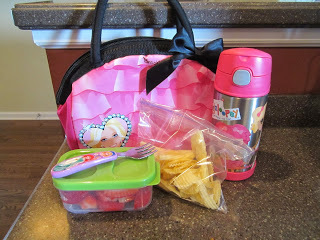 She told me he would not be allowed to use the SpiderMan lunch box because the other kids would be jealous! He would have to bring it in in a plain plastic or brown paper bag. Are you kidding me? I didn’t end up sending him to that preschool thank goodness. And start a conversation and teach these kids that life is not all about them and to show love to other kids who cannot eat the same foods that they get to eat. My kids are not the only ones with food allergies – not by far. These other kids are inadvertently being taught that they should get whatever anyone else is having and if they can’t, then that person should not be allowed to have it either. What a self-centered and terrible thing to be teaching our kids. My daughter is the one who is not getting to eat what she wants (though she has never once complained when she walks out of the nursery). Maybe she really wants some goldfish. She’s learning the lesson that she can’t always get what she wants and she’s learning not to covet but to be content with what she’s got and I think that’s way more valuable than any snack food. I have four kids, each with different food allergies. 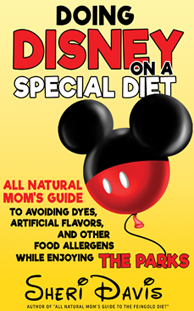 My oldest can have dairy and gluten and my younger three cannot. My kids are learning at a young age that they are not entitled to something just because someone else can have it. They are learning that the world does not revolve around them. Of course, they are still kids and this doesn’t always go over smoothly, but in general they know that life isn’t always fair and everyone is different. And veggies? Well, like many 3-year old’s, my daughter’s not a fan of uncooked veggies and she’d probably choke on half the stuff. (She has a poor bite from her pacifier!) Could I make homemade GFCF crackers? Yes, but do I want to? No! I cook enough stuff from scratch. I have to draw the line somewhere. So, my advice to any of you out there who work with kids? Let the kids with allergies bring whatever they want! If you want to go home and make some GFCF crackers for my child from scratch, feel free. But please don’t make unnecessary restrictions on my child, when they are already restricted in what they can eat. Teach the other kids about food allergies and don’t do to my child what you are trying to prevent in the other children. You want the other children not to feel left out from some good treat but my kids are left out every time and no one feels sorry for them or tries to make life any easier for them. My kids didn’t ask to have serious, sometimes life-threatening reactions to certain foods. If they want to bring in a snack that is just a little bit cooler or better than the other kids, then let them! It’s a very small thing that might just make the world of difference to a small child who has to sit and watch other kids eat something different than them day in and day out. So what am I sending in for snack next week? 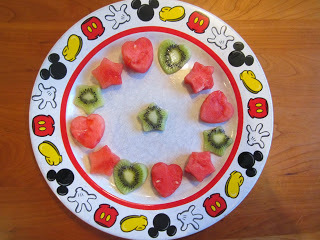 I’m going to cut up her fruit in cool shapes using small cookie cutters. 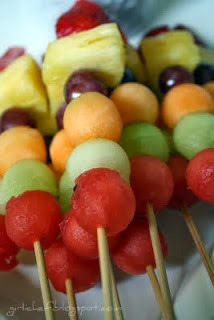 Or maybe I’ll make little fruit kabobs using our colored sword toothpicks. Or make melon balls. 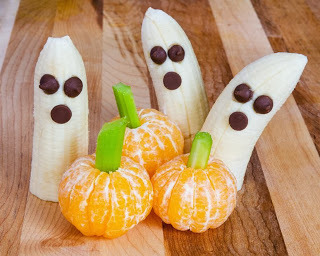 Or decorate a banana like a ghost using chocolate chips. Or make a jack-o-lantern out of an orange. 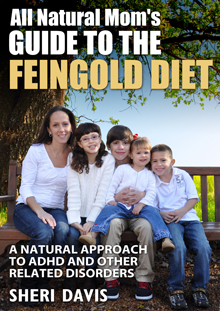 Look for my new e-book “All Natural Mom’s Guide to the Feingold Diet” coming August 11, 2014 to Kindle! 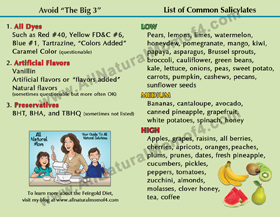 Posted in Feingold Diet, Natural Living and tagged Feingold Diet Info, GFCF Diet Info. Just found your page. THANK YOU!!! I especially appreciated the "Could I make homemade GFCF crackers? Yes, but do I want to? No! I cook enough stuff from scratch. I have to draw the line somewhere." We're blessed to not actually deal with any allergies, I just don't want my kids eating "artificials". I know I've made the right choice for them but most people just think I'm being too strict. My kids are totally used to it now. My oldest, who is 6, just explains she doesn't eat artificials, and leaves it at that. I wish other adults could accept that as easily as her classmates do. Well said and I like your fruit ideas in response 🙂 I have a problem with authority to, especially when it's putting unnecessary restrictions on someone who already has enough restrictions. Either one is a good option, but I poearnslly think its better to know for sure than to guess in case it is something more or less serious. You honestly feel deprived once your start the diet, and I seriously do not wish upon it to anyone unless they have the same condition.If you do go to the doctor, he will run you through a series of blood tests to see if your immune system is responding to the gluten, so it is best to continue on a regular diet until confirmation. It may even go as far as an endoscopy to further confirm your specific allergy.As far as meals go, I recommend finding some kind of shake or bar to carry around in case your friends want to go out to eat, and everything on the menu is off limits. I do however, recommend Amy’s brand for frozen meals and family size pizzas, and Ian’s single serve gluten free pizzas. Ian’s also has chicken fingers as well, so you can give those a try! !Good luck and stay healthy =).